Aims Managements Consultants is one of the leading business management consulting organizations offering business management consulting services to organizations of all nature and size. We provide one of the most comprehensive suites of consulting services. We also provide products & training in the fields of Quality Management, Marketing Management, Human Resources Management, Finance Management & Strategic Management to the organizations across all the industry verticals for building a progressive and profitable organization by creating a sustainable competitive advantage in the market. We have also gained the position of a leading company providing services in CMMI Certification in India. AIMS MANAGEMENT CONSULTANTS specializes in the entire range of ISO management system certification standards. Our consultants provide world class consulting services and training for achieving ISO 9001 Quality Management, ISO 14001 Environment Management, HACCP ISO 22000 Food Safety Management, OHSAS 18001, SA 8000 Social Accountability, ISO 27001 ISMS, ISO 14001:2004 Certification etc. 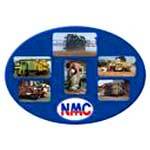 We provide our valuable services to the companies of all sizes and nature. The companies we deal with are not only confined to India but are global. We are a total customer driven company and we strive hard to provide one of the best services to our customers. We take care of providing our services well within the stipulated time avoiding all delays. We also offer our services at quite affordable prices so that itâ€™s easy for everyone to avail. Furthermore, we aim to continue providing our services in the same manner and build everlasting bonds with our clients.